Pretty flowers and Fabergé egg-inspired designs will make these egg boxes a family favorite this Easter. 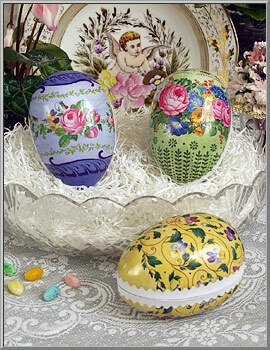 Traditional Victorian Easter boxes to fill with candy and small gifts, the paper mache eggs have the same colorful designs on both sides. Made of molded cardboard, they have a semi-gloss finish. Germany. 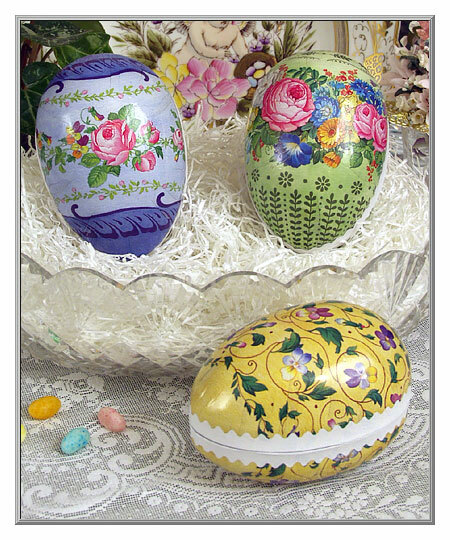 Paper mache egg boxes are 4½"
high by 3" wide and 3¼" deep.